24 hour UL Listed Monitoring – Deep Blue Integration, Inc. Remote monitoring of systems a requirement of both code-required and voluntarily installed systems. Human interface in the receipt and dispatching of signals received is accomplished at our contracted Underwriters Laboratories Listed Central Station. The Central Station operates under strict UL guidelines for timely notification of emergency First Responder personnel, building owners or their designated representatives. Prompt and professional attention is given to all signals as they are received. 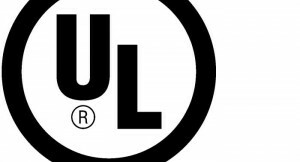 Being a UL Listed company for Central-station Protective Signaling Services, (UUFX.S36062), Deep Blue Integration, Inc. can meet your local Authority Having Jurisdiction requirements for UL Certificates on systems we install, test and maintain.